It looks like the Kiwi is ready to hit the brakes on its drive down south. 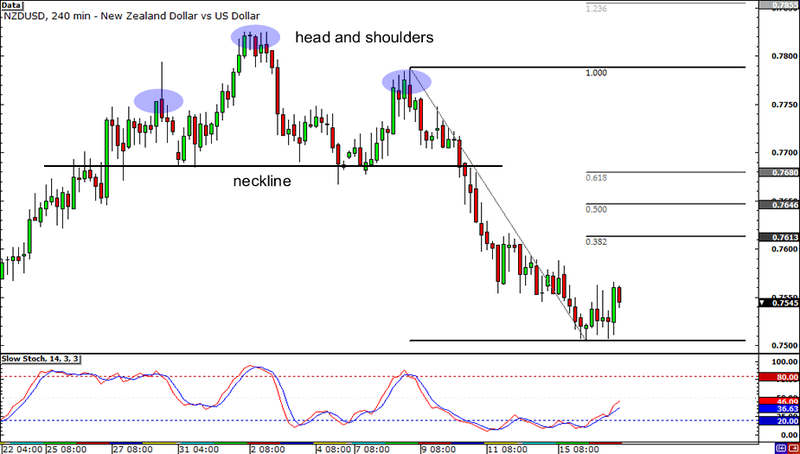 Last week, the pair broke below the neckline of the head and shoulders formation, but it seems that sellers are got exhausted already. 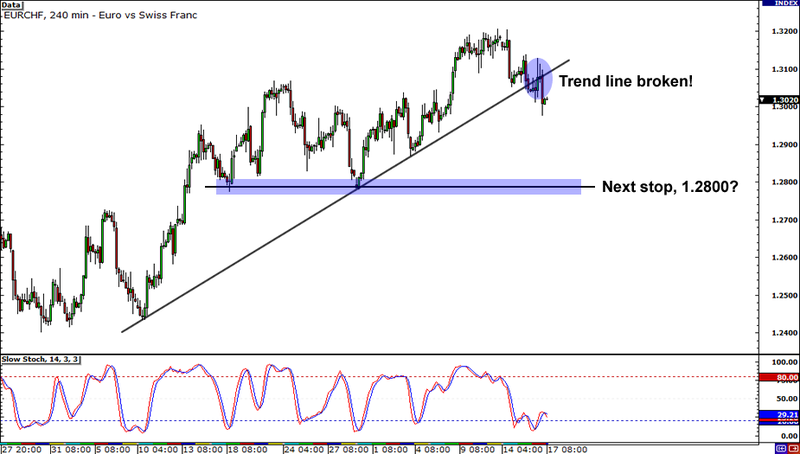 Stochastic is moving out of the oversold area, hinting that NZD/USD could be in for a pullback. The pair could pull up until the 61.8% Fibonacci retracement level, which is almost in line with the formation’s neckline. Could this be the retracement that Happy Pip is waiting for? We movin’ on up! 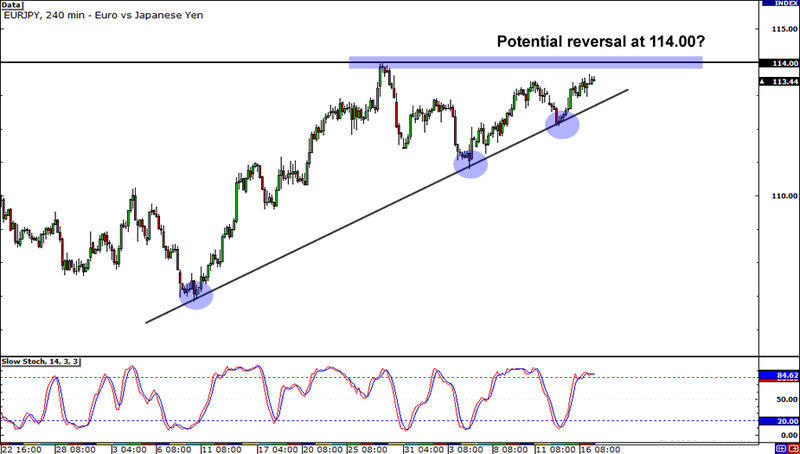 Yes we are, EUR/JPY! But for how much longer? The rising trend line on EUR/JPY has been holding up quite well for over a month now, but price will have to get past resistance at 114.00 if it wants to forge new highs. Stochastic is already indicating overselling, but it seems as though buyers still have plenty of wind in their sails. Keep an eye out for candlestick patterns in the area of 114.00, homies! That way, you know if you should play the breakout or the reversal! Hmm… Cyclopip may be on to something with his EUR/CHF trade. The pair just broke down the rising trend line on the 4-hour chart, which means more losses could be in store for the euro! If price breaks below 1.3000, look for the pair to keep falling until 1.2800. But be careful because if this level continues to hold, it may mean that bulls aren’t ready to give up ground yet.